*1. Boil water and rice for 15 minutes on low heat stirring occasionally so it won’t stick. *2. Add milk and bring to the boil, then on very low heat continue to cook till rice is cooked (about ½ an hour) stirring occasionally. *3. Add sugar and turn heat off. *4. Dissolve cornflour and add to cooked rice/milk mixture, stir briskly. *5. 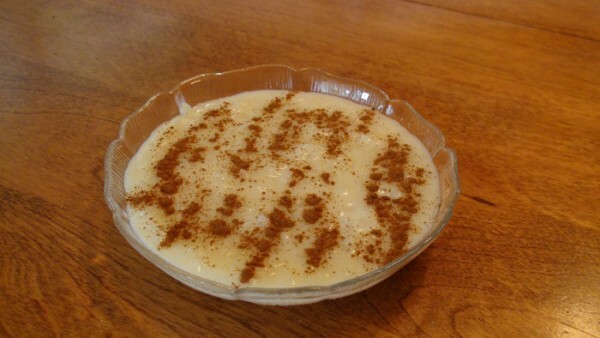 Put in bowls and sprinkle with lots of cinnamon.